Pedersen’s writing is hopeful and peaceful, with strong themes of love and generosity. Beyond a brief introduction, the book features 130 essays, some of them a page or two in length, some just a few paragraphs or sentences. They are presented in no particular order. Each explores a different aspect of nature and/or religion. The introduction lays the groundwork with the idea of each person having three “houses”—a physical house, a soul, and a spiritual center. With so many short, independent essays, the book is an easy read. There is often a lack of complete sentences, and periods are used more as pauses or for effect, but in the prose poems, this is a stylistic decision that does not interfere with the text. 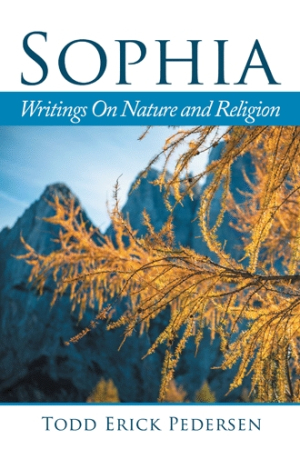 The essays tend to be thick, though there are some simple concepts presented, too: The richness of fall, for instance, as “the flavor of wood smoke, of mixed pine with cedar, rolls its way in layers through the rich golden dale.” Also, the idea that we surrender self during meditation in order to become more than ourselves. Particularly lovely is the entry titled “The Orange Grove,” which draws the image of a young girl picking oranges and giving them to friends, family, and strangers passing by, each person taking home not only an orange, but also her smile and something of her joyful afternoon. This is a work that’s best approached in a quiet place cleared for contemplation, and with an open mind. This book will appeal to the analysts of the world, those who are truly introspective.